Being a part of the BeYoutiful campaign was a once in a lifetime experience for me. I am not someone who usually goes out of my comfort zone. I play everything safe, I’m not an adventurist, and I thrive on my daily routine. In a culture where many of us are constantly thinking we are too short, too fat, too this, too that, might the selfie teach us acceptance? Could growing comfortable with one’s own image create a balanced sense of pride, love and happiness? Can picture do this? This Mother’s Day, skip the flowers and candy and give mom a gift she will cherish for a lifetime! We’ve got a PORTRAIT SPECIAL! What’s better than sharing a fancy makeover and a photo shoot with a close friend! Drinking champagne, laughing and having fun together it’s what ‘girls’ love the most. 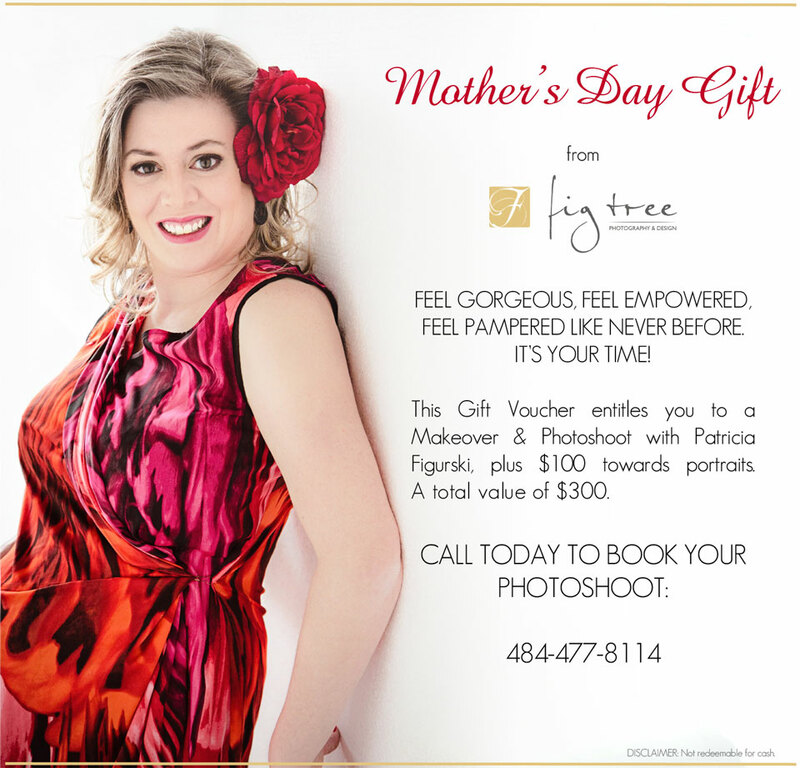 Let this Mother’s Day will be as special as you are! Meet Pia – 46 years young, mom of two, occupational therapist, a beloved wife to her husband, and a lovely woman inside and out. She’s proud to be Finnish. You deserve to be adored, you deserve to feel beautiful and strong again – just as you felt in your youth. Coco Chanel once said “A girl should be two things: classy and fabulous“, and I think my model is just that. Chestnut Hill is one of the most beautiful parts of Philadelphia. The historic homes and beautiful yards with mature landscaping in pretty stone walls give this place an unique feel. The home of my last family session was no exception! For Mother’s Day, Kelly treated her mom Diane to a gift certificate for a very special day in my studio: a double makeover and a glamour session. I love photographing women – did I write that already? The real ones with their different smiles, sizes, shapes and life stories. Moms of little kids, independent business women, young girls that want to define themselves, and beautiful ladies with kids in college, or even with grandkids. When Bozena contacted me about the session – I was pretty excited. From the way she was talking about her daughter, I knew they have a very special relationship. The session with them was also very special. Skip the flowers and candy – treat yourself with something really special! This Mother’s Day I want to give you a gift. Pregnancy is the one of the most beautiful times in every woman’s life. Words cannot describe it. I loved that time in my life so much, that when Christina contacted me at the end of her pregnancy for a maternity session I was beyond excited. What a special session I’ve had! Two beautiful women – a mom and a daughter – came to celebrate their relationship with my glamour session.